At EFI Group, our expertise is helping manufacturers take on their toughest improvement challenges in a way that minimizes project risk. To accomplish this, we employ a range of practices and tools that enable us to ensure that risk is at a minimum. 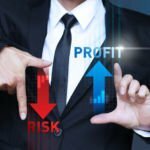 One of the key tools we use is the cost-estimating template we specially designed to ensure consistent application of the best practice techniques we’ve adopted from our decades of experience. We use the template for every phase of project development from preliminary engineering through cost tracking for project implementation, and the template includes both mandatory and open line items that help Project Managers make certain nothing is falling through the cracks. Below are the 11 key features of our Cost Estimate Template that make the biggest difference for mitigating project risk and you can download a copy to follow along with the description and, of course, use it during cost estimating your company’s projects going forward. Section 100 on the template. In this section we list all known installation items that are part of Civil, Structural and Architectural design (CSA Design) for the project. Most often we will include BOTH the installation costs and the purchased material costs in this section of the spreadsheet. Applies to sections 100 through 800 on the template. This element applies to all direct cost sections and is a special feature of those types of cost specifically. The purpose of the LOC is to mitigate risk for price increases on a specific line Item. As a starting point, we normally show 15% as LOC. As more cost information is known within each project group, we will lower the percentage. All equipment that is used in the process is listed here. Sometimes for large projects, we will include a separate equipment list spreadsheet and transfer a summary of costs here. Support equipment is often overlooked when estimating projects. We include a separate section to capture costs for this equipment. Typical examples of support equipment include: air compressors, maintenance cranes, special tools, mobile equipment, etc. Cost estimates for all mechanical construction costs are detailed in this section. This includes the installation of process and support equipment. Also included is all piping associated with the project. Line items associated with power supply equipment are listed here, including substations, transformers, MCC’s, power panels and the like. Sometimes light fixtures are also included in this section, but can also be shown as a single installation item in section 700. Controls related equipment are shown in this section and include PLC’s, HMI’s, control panels, instrumentation, etc. Note: Often a separate instrumentation list is prepared. If this is the case, the total costs for the instrumentation package are transferred onto a single line item on the Cost Estimate Template. Contractor labor and tools associated with the installation of power systems and controls are listed here. Installation bulk items (conduct, wire, local receptacles, switches, etc.) are grouped in this section. We normally include all bulk items that are part of the construction scope of work. We use the Miscellaneous section to capture additional costs associated with direct costs that are not specifically mentioned in the sections above. The Project Manager can also include other items that are important to their specific project in this line item. Listed on the Cost Estimate Template you can download are eight examples of miscellaneous costs EFI Group might include pending the project. Indirect Costs are project costs that are not part of a fixed asset. Listed on the Cost Estimate Template are 10 examples of Indirect Costs EFI Group typically does include on projects. Final Project Contingency is included for a totally different purpose than the Line Item Contingency. During the course of design or construction, new information and cost items arise that were not part of the original budget. Including a Final Project Contingency mitigates the risk of cost items that were NOT identified during the original project planning and preliminary engineering. Typically, we will begin with 25% early in the preliminary engineering process and gradually reduce the contingency during capital cost development activities. However, the lowest Final Project Contingency we will allow is 10%. This involves the cost for equipment or services that have been identified in the project’s Scope of Work. For example, the Actual Cost for equipment will be different (+/-) than the budget cost determined during the preliminary engineering development, and the same applies to actual costs for engineering or installation services. So, the Line Item Contingency covers any potential increases in Actual Cost vs. Budget Cost of those items that have been identified to be within the project’s overall scope. This involves changes that occur during the implementation phase of the project. These are equipment needs and additional engineering and installation requirements that were not specifically identified during the project development process. For example, the relocation of an underground pipe that was not discovered during preliminary engineering, and is not included in the detailed Project Cost Estimate. In short, SOW Contingency covers unforeseen events that occur during installation and commissioning. The amount of Total Contingency assigned to a project varies based on the completeness of preliminary engineering and the accuracy of cost information available during the development of the Cost Estimate. It is wise to take a hard look at and honestly assess preliminary engineering completeness and cost information accuracy during the cost estimating process. These factors are not always controllable and, therefore, do not necessarily indicate lack of preparation. So, the more objective you can be, the better you’ll be able to mitigate project risk during cost estimating. 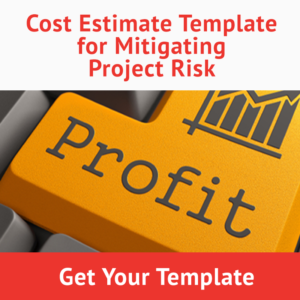 Don’t forget to download your copy of EFI Group’s Cost Estimate Template for Mitigating Project Risk and put it into action on your next project. Note: The second sheet in the Cost Estimate Template Excel file is filled in for you to serve as an example. Simply delete that text and data or, if you want to keep the examples, copy the sheet and then delete, and you’ll have a fresh template for every project you undertake. 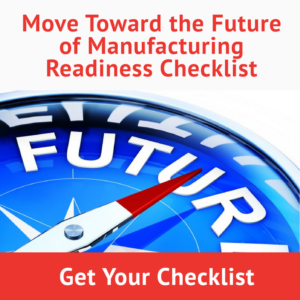 EFI Group’s expertise is helping manufacturers take on their toughest improvement challenges in a way that minimizes project risk. The Cost Estimate Template we showcased in this article provides just one example of how we do that. We would enjoy talking with you about your next project and determine how we can help you reduce risk further to achieve even greater gains. To schedule a conversation with our leadership team, contact Jim Solich at jsolich@efigroupllc.com.